Are the Days of the Blackberry Over? Here we look at the future of Blackberry phones and whether they will continue to be competitive in the coming years. Home » technology » Are the Days of the Blackberry Over? Blackberries have controlled the market of business-related phones for many years. However, with the massive rise in popularity of the iPhone and the Android, Blackberries have seen drastically reduced interest and sales. The Blackberry dominated the market for a while, primarily due to its usefulness for busy multitaskers. With the development of countless apps for the iPhone and Android markets, however, many now feel that Blackberries offer much less than their newer competitors. An application market is crucial for any phone in modern times. These markets allow users to purchase applications which allow them to play games, organize files and turn their phones into multi-use tools. While the Blackberry does feature an application market of its own, it is not nearly as popular or extensive as the Android or iPhone markets. Both application markets offer similar purchasable applications, as well as many additional free choices, for users. However, due to the increase in popularity of iPhones and Androids, the application market for Blackberries seems to pale in comparison. That being said, Blackberries do still offer several significant selling points. Androids and iPhones may have a sleeker and more modern look, but the Blackberry still offers solid functionality. Many smartphone users find themselves frustrated with using unresponsive touchscreens. Many Blackberries features a full-fledged keypad, which is useful for typing without mistakes. These keypads are favored by many business-oriented smartphone users due to their increased accuracy and reduced potential for embarrassing autocorrect errors. While some newer models of Blackberry phones do include touchscreens, many users prefer the classic models with keypads. In addition, previous models of Blackberry phones provided the user with a trackball, which was useful for selecting applications and icons on the phone. The iPhone and Android smartphones now generally require the user to rely on touch to select an application, a system that is not always responsive. Therefore, the Blackberry is still extremely useful for those who wish to avoid touchscreens. Blackberries are still extremely popular with the consumer base to which they are targeted. While iPhones and Androids may have immense popularity with the general consumer base when compared to a Blackberry, Blackberries – at least so far – still maintain much of their popularity in the business world. Although they may not always be as flashy as their modern alternatives, Blackberry phones are still equipped with a plethora of features geared towards business-oriented people, including email, Bluetooth and the famed Blackberry organizer. This organizer is a useful feature for those who need to keep track of tasks, view memos and sort their contacts. Keeping track of events and schedules is vital in the business world, which is why Blackberries still hold great popularity in this field. Blackberries also provide extensive assistance to businesses beyond the functions of the phones themselves, further proving that these smartphones are geared towards a business market. Blackberry provides their smartphone users with software that allows them to manage their business more efficiently. 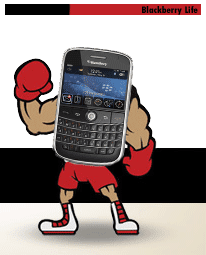 When compared to an iPhone or an Android, then, Blackberries can be more efficient for business owners. Blackberry smartphones allow business owners to connect to their employees and share information quickly and efficiently, something not all Androids and iPhones can do. Although Blackberries are seemingly less popular now with the general public, they seem poised to maintain a significant niche in the business world.